This morning L&Q, Hyde and East Thames housing associations announced merger plans that would create the biggest housing association in the UK, one of the biggest social landlords in Europe and the fourth biggest house builder in the UK. It would initially own 136, 471 homes. Development plans emphasise build for sale and market rent. There will not be open completion for senior jobs; David Montague, L&Q’s boss will be slotted in as group CEO, Hyde’s boss Elaine Bailey is lined up as his deputy and the East Thames boss will remain in charge of East Thames which will continue as a subsidiary with a specialism in care and support. The aim is to complete the merger this year and make “efficiency savings” of £50m a year within five years. It is intended that this will include redundancies but details are not currently available; the associations currently employ 4000 people. They have stressed that the merger plan was not driven by the recent social housing rent cut but a desire to increase their capacity. Meanwhile the National Housing Federation (NHF) has opened top-level talks with government as it seeks to deal with the looming “regulatory burden” posed by the charity commission’s rules. An important feature of the housing bill currently passing through Parliament is weakening of regulatory control over housing associations but, representing the big charitable housing associations, the NHF now want to go further loosening controls from the commission in order that consent would not be required to sell housing stock. Stock transfer landlords Bolton at Home, Poplar Harca, Halton Housing Trust and Helena. Partnerships are among the landlords registered with the Charity Commission although most associations are classed as ‘community benefit societies’ and are therefore unaffected. The chief executive of Genesis has openly talked of pulling out of social housing completely and there is a general move away from a social rent based business model in the sector, deregulation would facilitate this shift. 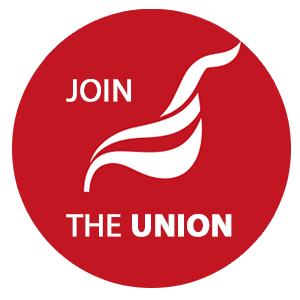 Unite shares this concern with the direction of the housing association sector. We argue that there is no solution to the UK housing crisis that does not start with a massive expansion of social housing and we will support workers in the sector seeking to defend their jobs and conditions as well as working with tenants and residents.